Liverpool have reportedly been dealt a double injury blow ahead of this weekend’s game against Arsenal at the Emirates Stadium. The Reds look set to be without Jordan Henderson and Naby Keita in midfield for their trip to north London in Saturday’s 5.30pm kickoff, according to the Evening Standard. The report suggests both are looking unlikely to make it back into Jurgen Klopp’s starting XI at present, with Fabinho looking set to get a third start in a row for the club. This balances things out a little more after Arsenal were dealt an injury blow of their own this week. Goal report that in-form right-back Hector Bellerin should be out for the Gunners after he went off at half time in the 2-2 draw with Crystal Palace last week. Both sides drew 3-3 in a thriller at the Emirates last season and it would no doubt be great to see something like that again, though both have improved since that day. 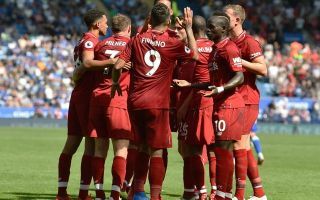 Liverpool have been far more solid since signing Virgil van Dijk in January, while Arsenal look harder to break down and have a bit more tactical nous about them since replacing former manager Arsene Wenger with Unai Emery in the summer.